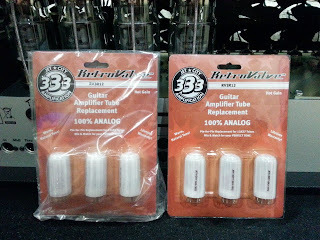 Retrovalves are designed by Doug Roberts and introduced by Jet City at NAMM 2011. 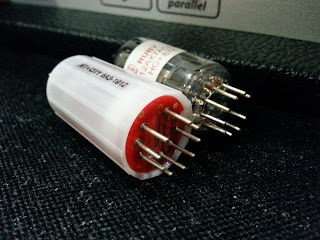 Not only Retrovalves, AMT Electronics had also introduced vacuum tube replacement called "12AX7WS (Warmstone)". All these "solid state tubes" are actually not the new things, Mesa/Boogie used "Feltron" in ther Mark I amplifier during 70's. The Retrovalves really impress me. when I plugged these solidstate tubes in my Diezel VH4 and Herbert. 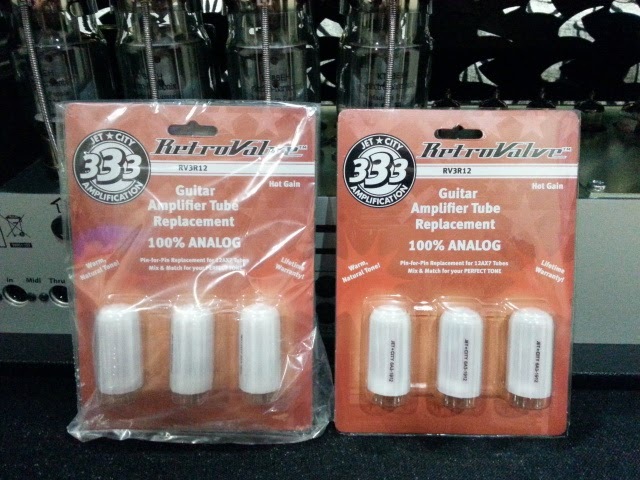 Compare to traditional glass tubes, Retrovalves "Hot Gain" seem to have around 10% more in gain. The greatest part is these solidstate tubes are very quiet and about 80% less in noise/microphonics. I still feel my amps sound and play like a tube amp but much better tone now. 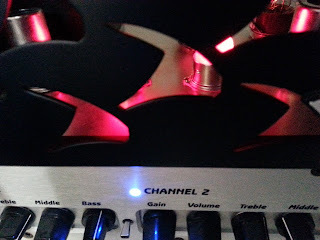 When I swapped my glass tubes back, the amp sounds really muddy to my ears. Love these Retrovalves. 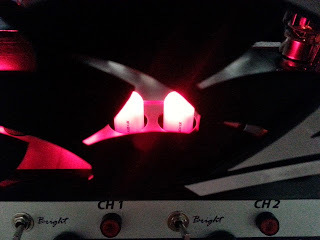 Retrovalves in my Diezel VH4. Retrovalves in my Diezel Herbert. It's "FETRON." Fetrons actually came from the telecommunications industry back in the day when they were switching their equipment from tube to solid-state; the Fetron allowed them to retain equipment that would otherwise have been scrapped by eliminating vacuum tubes from it. However, they soon found out that high-voltage spikes from lightning and other sources were all over telephone lines; vacuum tubes are for the most part indifferent to HV spikes, while FETS aren't. Bye-bye Fetrons...if you like tubes, bully for you. 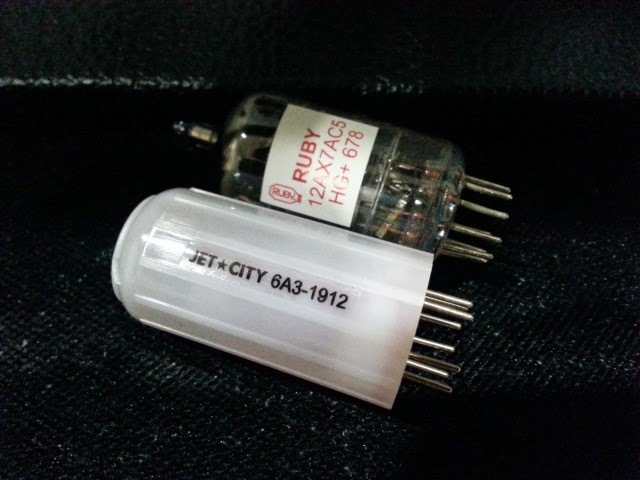 *I* certainly do; I don't see buying a top-end tube amp and then stuffing it with fake "tubes" full of transistors. Why bother? Buy a Crate and get it over with.